Blend the Teddy Grahams in a food processor until fine. Add the butter and blend until joined. Pour into a 9.5 inch pie pan and, working from the center out, press along bottom and up sides of pan. Refrigerate until you’re ready to add the filling and cheesecake. To make the pumpkin filling, beat the eggs and sugar. Add the spices, puree pumpkin, and evaporated milk. Whisk to combine. 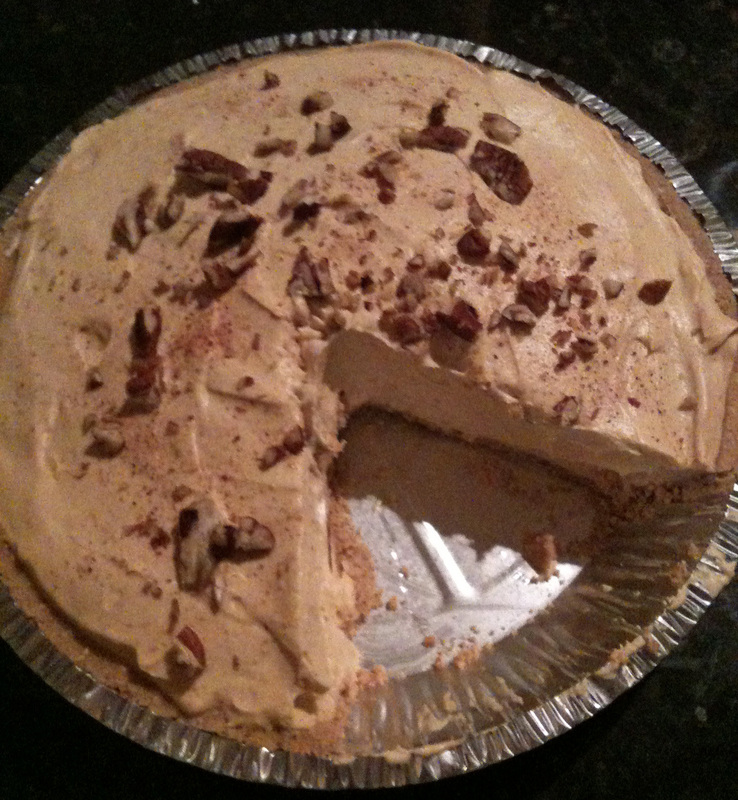 To make the cheesecake filling, beat cream cheese with a mixer until softened. Add sugar and blend in egg. Add vanilla. Blend until smooth. 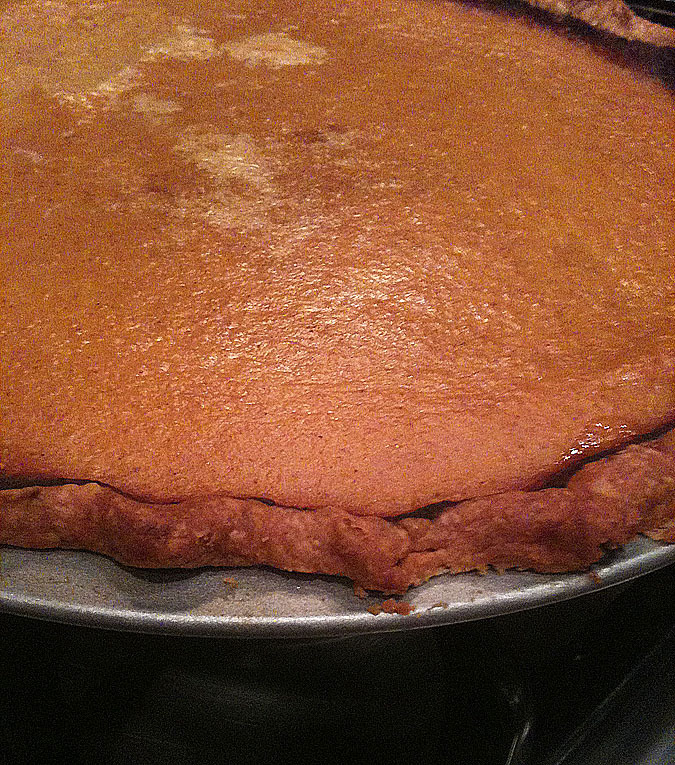 To assemble the pie: pour pumpkin filling into graham cracker crust. Pour cheesecake filling into a zip top bag and snip off end. Or if you have a piping kit, you can use that as well. 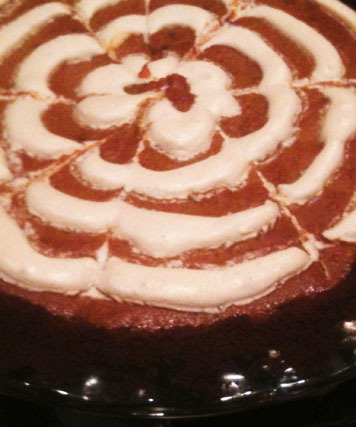 To make the spider web design, lightly pipe concentric circles of cheesecake into the pumpkin filling. Using a clean knife, drag the blade of a knife from the outer edge of the pie towards the center, wiping the knife between drags. Bake in a 300 degree oven for 60 minutes. 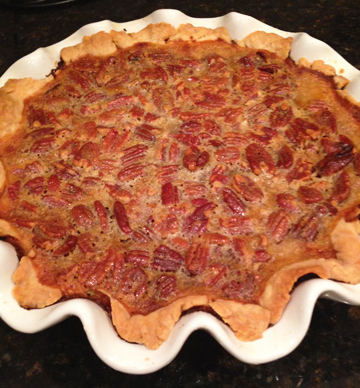 The pie looks good but I won’t be tasting this tonight. It will wait unti the finished product is presented at the bake-off. It’s a gamble. I’ll let you know if it worked out.